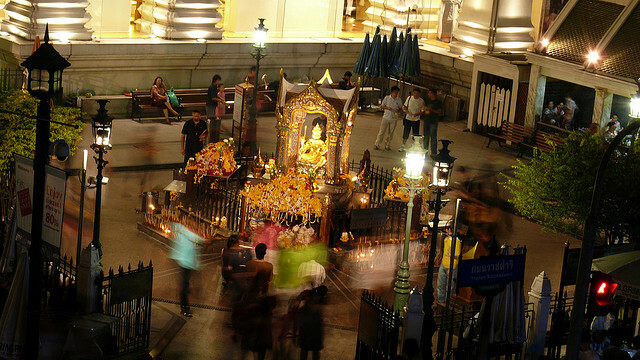 Last Monday’s bombing at the Erawan Shrine in Bangkok killed 22 people and injured more than 100. As first responders struggled to treat casualties and secure the site in the heart of the city’s tourism district, local police were already trying to piece together what had occurred. Shortly after the bombing, Australian Federal Police (AFP) and Australian diplomats were working with the Thai government to identify potential Australian victims and offering their support for the impending investigation. Through years of cooperation and capacity development, the AFP has built a relationship of trust with the Royal Thai Police (RTP). Last week this investment matured when the RTP provided the AFP with almost real time access to information about the incident—well before any of Thailand’s other international partners. AFP officers from the Australian Embassy, as well as from the Bangkok Counter Terrorism Regional Cooperation Team and the Australian-supported Transnational Crime Coordination Centre, are likely to be still indirectly supporting the RTP investigation. The Bangkok bombing serves to remind us that Thailand is an important law enforcement and national security partner for Australia. The Thai capital is the Southeast Asian base for organised crime groups from Australia and across the region to control the regional drug trade. The country’s proximity to the Golden Triangle results in greater availability of cheap heroin. Its industrial growth ensures access to Chinese chemical and pharmaceutical products which cements its role as a source country for methamphetamine and its precursors. Australian criminals also commit a range of serious and organised crimes in Thailand that often have a nexus with criminal offences at home. In January 2013, two Australian expatriates  with links to Australian outlaw motorcycle gangs were involved in the shooting of two German tourists in Patong, Thailand. The Germans were shot accidentally when the two Australians were attempting to shoot a Danish member of a local organised crime group. Terrorism is a national security threat that looms large in Thailand. Monday’s attack is far from unprecedented: this year has seen multiple bombings from Southern Thailand , to the Island of Koh Samui , to Bangkok . In Southern Thailand, the Patani Separatist group has been fighting a guerrilla war with Thai authorities since 2001, deploying a range of terrorist techniques in their separatist campaign. So with recent history showing the importance of Thailand to Australian policing and border security, why is the AFP’s international network subject to government efficiency dividends? This year’s Commonwealth Counter-Terrorism Machinery Review  found that our security agencies have identified risks to national security outcomes if their base funding continues to be eroded. Since 1987, the efficiency dividend has been a central principle in successive Australian budgets. The efficiency dividend initially resulted in reductions to inefficient expenditure in non-operational areas within national security agencies, which was long overdue. As the number of non-operational efficiencies available to decision-makers decreased, cuts to operational expenditure became inevitable and, finally, commonplace. To address the effects of reductions in expenditure, national security agencies developed new policy initiatives to obtain sufficient funding to offset risks to national security. For 10 or so years, a delicate equilibrium of cuts and ‘just in time’ policy initiatives was maintained. The budget of the last two years has seen a drastic reduction in the availability of new funding—which is resulting in incremental reductions in Australia’s national security capability. In this case the AFP’s international presence in Thailand. Further complicating and undermining the funding arrangements of organisations such as the AFP is the new policy initiative  offset methodology  adopted by successive federal governments since 2008. In this approach, departments that submit new policy proposals to government must offset the expenditure from within their existing budget. The end result is a continuous erosion of funding for existing programs of work, such as the highly regarded AFP international network. Australia’s capacity to respond to incidents such as the recent Bangkok bombings is slowly being eroded. With a decreased AFP presence in Thailand due to funding cuts there is a real risk that our important relationships with organisations such as the RTP will be severed. Rebuilding severed international police-to-police relationships won’t be easy. The efficiency dividend on operational expenditure for the AFP should be lifted. Careful consideration must also be given to the removal of the efficiency dividend from all national security agencies. John Coyne is a senior analyst at ASPI. Image courtesy of Flickr user phatfreemiguel.